Icons create epiphanies of beauty – Living Water College of Arts course in writing icons opens students’ hearts, deepens faith. A dozen participants are in Epiphanies of Beauty, a course about iconography at Living Water College of the Arts. The students also study Eastern tradition, history and spirituality. 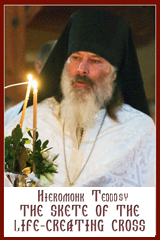 (…) Deacon Jim Nakonechny, of the Edmonton Ukrainian Eparchy, has long been looking for a suitable place to study iconography. (…) “One of the things my training and education has always been about is beautifying our churches. Salvation comes through beauty. 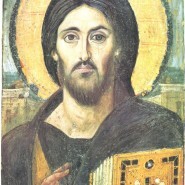 We can draw people to the Church and encourage our youth by bringing back the richness of our faith and the traditions of our churches through our iconography and architecture.” (…) “You’re not only learning a technique but you’re also building yourself spiritually. Being here at Living Water College is nice because it’s away from the busyness and hubbub of the big city,” Nakonechny said.